The men around Fantine are both heroic and.... less so. And Hugo is as well. Here is the original story (in French) that is considered the origin of Fantine. An English version begins on page 42 of this ebook. We talk about humans behaving like animals, and worse, as we meet Javert, and discuss Fantine's "descent." Because what's the Internet without cat pictures? Auguste Vacquerie, family friend and brother of Hugo's late son-in-law, was an early adopter of the practice of at-home photography. 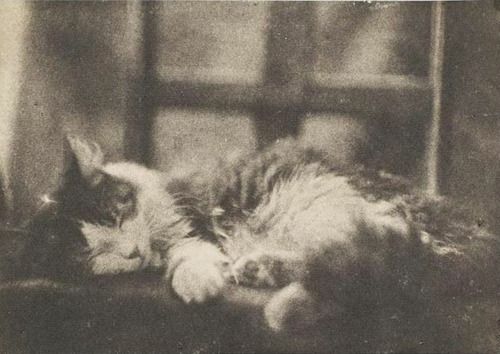 Photographs of the many pets of Hauteville-House are rare, but here is one. Lazy housecat indeed.